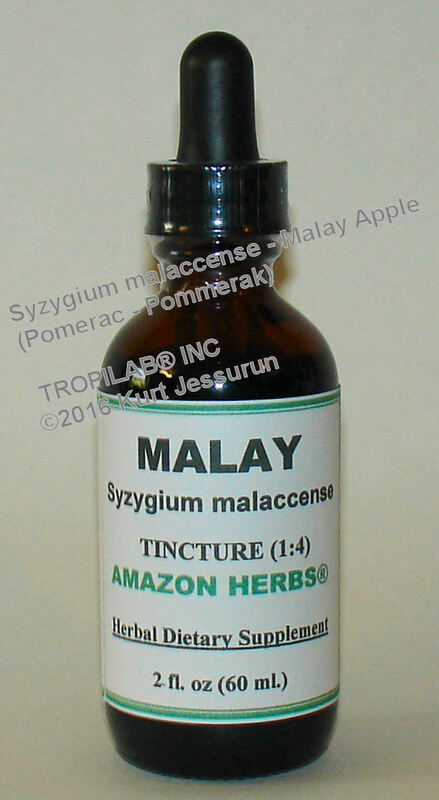 Syzygium malaccense - Malay apple. .
SYZYGIUM MALACCENSE - MALAY APPLE. Malay apple, mountain apple, otaheite apple, pomerac, pomme malac. 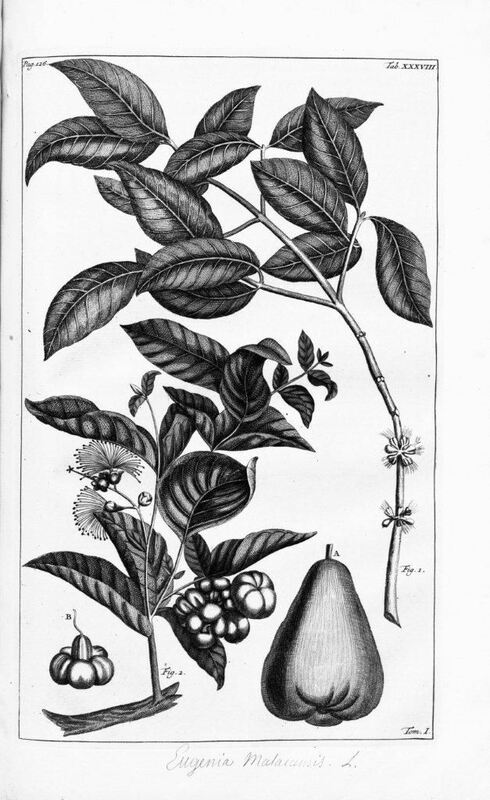 The Malay apple is a medium sized tree, growing up to 60' tall. Although not indigenous to Suriname, pomerac as it is called in this country, is growing abundantly. The evergreen leaves are opposite, soft leathery and dark green: the flowers are purplish - red and form a carpet after falling under the tree. The fruit is oblong - to pear shaped with a dark red skin and white flesh; sometimes it is seedless. A decoction of the bark is used against vaginal infection, while the root is used to treat itching. The root is also effective against dysentery and as a diuretic. In Brazil, the plant is also used as a remedy for diabetes and constipation. The malay apple is a typical tropical plant and can only be grown in the most southern part of Florida. Visit also our CHOLESTEROL -, DIABETES - , HYPERTENSION - and TINCTURE pages. The mountain apple is grown for its fruit that yields more than 220 lbs. per tree.